The Producer Price Inflation risen to 6.7 per cent in March from 5.4 percent recorded in February 2019. The month-on-month change in producer price index between February 2019 and March 2019 was -0.9 per cent, Professor Samuel Annim, Government Statistician announced this at a Media briefing on Wednesday. He said the Mining and Quarrying sub-sector recorded the highest year-on-year producer price inflation rate of 15.9 percent, followed by manufacturing sub-sector with 6.1 per cent. The Utility sub-sector recorded the lowest year-on-year producer inflation of 0.9 percent. With respect to the monthly changes, the mining and quarrying sector recorded the highest inflation rate of 1.6 percent, followed by the manufacturing sub-sector with 0.8 percent and utilities sub-sector with the lowest of 0.2 per cent. Meanwhile, Ghana’s Gross Domestic Product growth in 2018 stood at a provisional 6.3 per cent year-on-year, down from 8.1 per cent in 2017, Professor Samuel Annim, announced. Growth in the fourth quarter of 2018 was 6.8 per cent compared to 5.5 per cent in the third quarter, he said. Professor Annim said the industry sector recorded a growth of 10.6 per cent, followed by Agriculture 4.8 per cent and the Services with 2.7 per cent. However, the services sector remains the largest with its share of GDP up to 46.3 per cent last year from 46.0 percent in 2017. Two of the sub-sectors, Information and Communications and the Health and Social Works recorded double digits growth of 13.1 per cent and 22.6 per cent respectively. There was contraction in the real estate sub-sector of 6.5 per cent as well as finance and Insurance 8.2 per cent. The Industry Sector, the highest growing sector with a GDP share of 34.0 per cent, had its growth rate down to 10.6 per cent in 2018 from 15.7 per cent in 2017. Professor Annim said the decline could be attributed to the fall in the growth rate of the oil and gas activities from 80.3 per cent in 2017 to 3.6 per cent in 2018. Mining and Quarrying sub-sector, on the other hand, recorded the highest growth of 23.3 percent. The agriculture sector expanded by 4.8 per cent in 2018 compared to a growth rate of 6.1 percent in 2017. The sector’s share of GDP declined from 21.1 per cent in 2017 to 19.7 per cent in 2018. 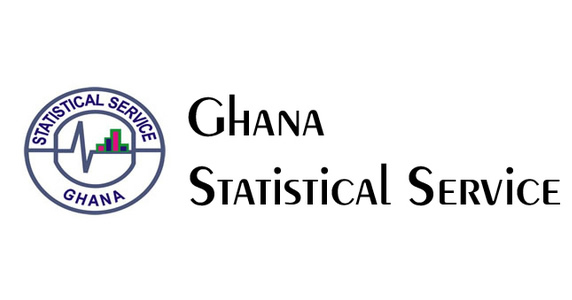 Crops was the second largest activity in Ghana with a share of 14.5 per cent of GDP, while the fishing sub-sector continued to contract, recording a GDP growth rate of negative 6.8 per cent in 2018 compared to negative 1.4 percent in 2017. The non-oil annual GDP growth rate increased to 6.5 percent in 2018 from 4.6 per cent in 2017 on account of a 49 percent growth rate in Mining and Quarrying activities, information and communications as well as health and social works activities.